You are here: Home / Featured / The Importance of Strong and Unique Passwords. The Importance of Strong and Unique Passwords. In today’s world we all have dozens of usernames and passwords for countless online accounts. From email and social media to online shopping and banking, it seems like every website we get on wants us to “log-in.” So what do we do? We have the same password for everything of course! Or we make the password something extremely obvious so that we remember it. But when we make the password obvious for ourselves, we are also making it obvious for hackers. Here are some useful tips for creating a strong password to keep your accounts secure. Here are some of the worst passwords, thanks to TIME magazine. If you’re using one of the passwords on this list, it’s time to change it! Too much to remember? 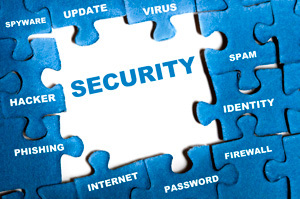 Consider using a password manager, such as Last Pass, that can keep you secure seamlessly from desktop to smartphone. Don’t be an easy target for hackers. Do yourself and your business a favor by making sure your passwords are strong to ensure the security of all your accounts!